Your growing business needs require a competent partner to get the job done. We understand that as your organization grows, so do your needs; thus, we offer Managed Services that span from monitoring, managing, to managing issues for your selected IT and other digital systems. With our Managed Services, ‘Digital Eye Technologies’ work on your behalf– in the most efficient and effective way. ‘Digital Eye Technologies’ offer Managed Services for your IT systems, security systems, patch management, data backup and recovery, working on many different devices such as PCs, mobile, notebooks, systems, storage systems, and dedicated applications. Our pool of professional IT experts know how to deliver the service you require; and they know how to handle them well. We know that your business requires a lot of intricacies to get the system going; but more often than not, some of these intricacies may not be given as much attention to get the system going in the most efficient manner. With our Managed Services though, you get to outsource these intricacies, while resting assured that you cover everything that you need to effectively deliver your business processes and services. Our Managed Services also provide for backups, security, and patches– just some of the IT issues that definitely require your attention. 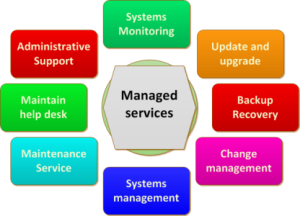 Soon as you avail of our Managed Services though, you can cross this out on your list and consider it done. As you entrust your IT systems and other related digital technology services with ‘Digital Eye Technologies’, you get to focus more on things that matter to your business– and those that require your attention more. Talk to us today and see how our Managed Services can help your organization!